Summary of last season – Playoff joy rounded off a season where Stirling Albion were always just there or thereabouts. For the majority of the season last year it looked like Stirling Albion were challenging for playoff spots but at times their form faltered and it looked like they may have relinquished their spot. However a solid run of results when it mattered meant that they reached the playoffs and gained promotion after a victory over East Fife. The team were like many others in League Two in that when they were winning they were doing so in a convincing manner and playing good football, but they also had periods when they were struggling to win matches. Ultimately it was a mixture of the Binos managing to gain consistency when it mattered and a failing in the teams around them that gained them that playoff spot and promotion. What they still need – With any newly promoted team it is always challenging to judge what is needed for the step up. Stirling Albion have made a few singings that have added strength and depth to the team but the squad (much like others in this league) is still a little tight. Some cover at the back in the fullback areas would be good and further forward too there is maybe a need to add some cover in the wide midfield area. Key player(s) – Losing a prolific goalscorer like Jordan White was a big blow for Albion but they have moved to try and offset his departure. One player that has arrived at the club to fill the shoes of White is Steven Doris. An accomplished striker at this level Doris was most recently with Dundee but was maybe never really given a chance. He will undoubtedly score goals in this side. One of the Binos bright young stars is also likely to have a cracking season. Craig Comrie has been getting rave reviews and rightly so. The former Falkirk youth has great technical ability and is still only 19 so has a great future ahead of him. 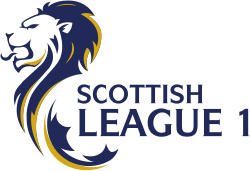 Opinion on Stirling Albion – Newly promoted teams can sometimes take a division by surprise and perform very well in their debut year. Stirling Albion were not the standout team in League Two last year but they did put in some fantastic displays on the way to promotion. The squad has been strengthened despite the loss of a couple of key men and the fans will be hopeful of survival this season. It might be a case of lack of experience in this division or other teams being simply stronger but his might be a very difficult season for the Binos. Summary of last season – A fantastic year that nearly ended in promotion to the Championship. An extra-time defeat to Dunfermline in the playoffs was a disappointing end to a great season. Stranraer played some lovely football last year and at times were one of the best sides in the league. A poor run of form towards the end of the campaign meant that the season fell away ever so slightly but on the whole it was a great season for the team led by Stephen Aitken. What they still need – The club have completed most of their business early which is a positive step and will help build more consistency in the team. Of course there is always room for extra players just like in any team but for the time being it looks like Stranraer have what they need to mount another challenge this season. It will be important that if they need to strengthen in January they are given the budget to do so, because the January transfer window can make the difference in this league. Key player(s) – Fans will be delighted to see goalscorer Craig Malcolm return to Stair Park. The striker let the club to join Ayr United but is now back at the club he has made over 100 appearances for. His goals will help the side this year and will also fill the gap left by some of the club’s departed strikers. A key component to the form of Stranraer last year was midfielder Steven Bell and he will be aiming to hit those heights again this season. He is one of those valuable midfielders that seems to be a bit of a jack of all trades and he can cover a number of different roles and bring a number of different attributes to the side. Opinion on Stranraer – After the success of last year it is great to see Stranraer maintain the core of their squad. Having consistency in your team is a rare luxury and one that clubs benefit from. Stranraer now know what it takes to reach the playoffs in this league and they should be approaching this year with confidence. There is a risk of complacency and sometimes this division can throw up surprises but Stranraer should be aiming for another successful year in the playoff spots.